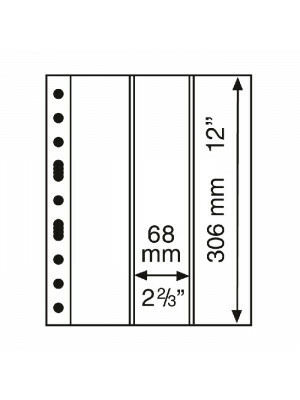 GRANDE plastic pockets sheets vertical 2-way division (width 105 mm each; height 306 mm), clear. 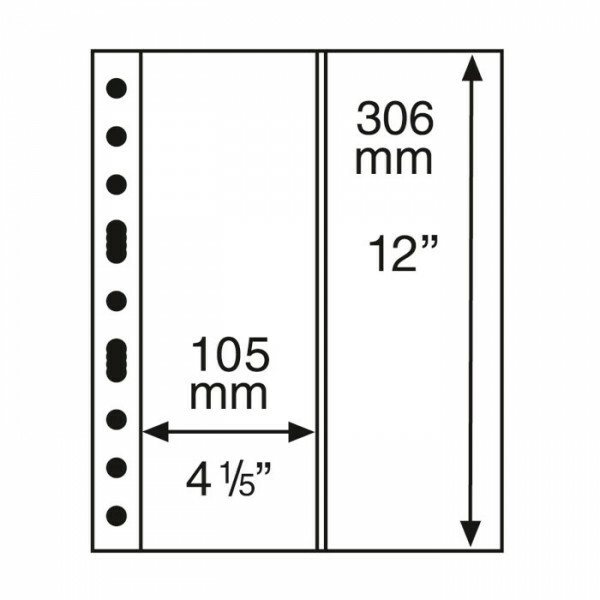 The page measures 240 x 312mm. 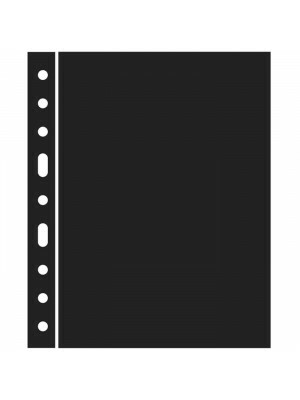 Lighthouse GRANDE stamp stock pages are either double-sided with a black background (GRANDE S) or one-sided and clear (GRANDE C). 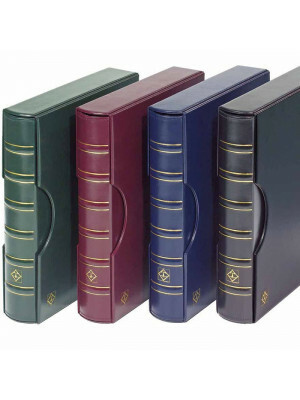 All GRANDE pages feature crystal-clear pockets for easy viewing of your items. All materials are archival for long-term storage. 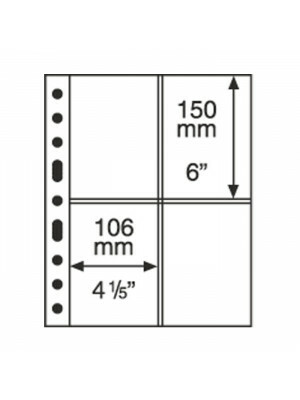 Pages fit into any GRANDE binder, though they have multiple sets of pre-punched holes on the side to fit other style binders.